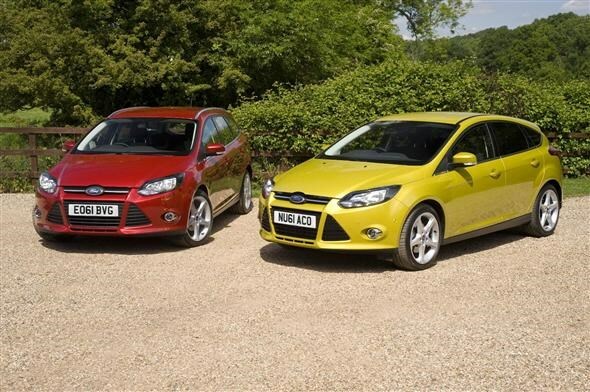 The Ford Focus is set to get a low-emitting and economical petrol engine for 2012. The three-cylinder EcoBoost engine is available with a power output of 99bhp or 124bhp. The 124bhp offers the same amount of power as the existing 1.6-litre petrol engine, but lower emissions and improved economy means lower tax and potentially reduced fuel costs. Emitting just 109g/km, the lower-powered of the two engines will cost just £20 in road tax. The 124bhp version, with emissions of 114g/km, falls in to the £30 per year category but both are exempt from road tax for the first year. At the same time the 1.6-litre engine producing 104bhp and 124bhp will cost £115 per year. According to Ford, the 99bhp engine is able to achieve an average fuel economy of 58.9mpg while the higher-powered engine can achieve a claimed 56.5mpg. This is fairly impressive for a petrol engine. Both engines are available on the hatchback and estate models. The higher-powered option comes with a six-speed manual gearbox while the 99bhp is fitted with a five-speed manual. The engine will eventually be used on other models in the Ford range including the C-Max, Grand C-Max and all-new B-Max. The new engines will be available from February. Prices start at £16,245 for the 99bhp engine in Edge trim rising to £21,845 for the higher-powered engine in the Estate model.